Individually prepared drum lessons in Surrey, Kent & South London catering for all styles and levels of drumming, focusing on a natural and fluid approach to help you to play comfortably and confidently. Over structured lesson plans, we look at developing multiple techniques to help your playing styles and individual physiology. Whether your just starting out or a more experienced pro, drum lessons are fun, rewarding and inspiring. Dov is available for all types of freelance drumming work from small jazz venues to large rock festivals or theatre productions. He feels at home in the studio and is a competent reader. With a repertoire of hundreds of songs which can be played from memory Dov is able to learn new material quickly and accurately. Dov is passionate about delivering a world class performance either in the studio or live and brings with him a wealth of experience to help your band or production sound as professional as possible. I picked up sticks from an early age inspired by all the great music my Dad listened to and performed. I’ve been playing the drums for 30 years now and have been lucky enough to play with some great artists. Currently I run my own function band ‘Rocksters‘ and teach the drums from my home studio. Edwin Starr, Dancing In The Streets Tours, Martha Reeves, Mary Wilson, Freda Payne, Geno Washington, Gwen Dickey, The Pretty Things, Dave Gilmour, Arthur Brown, The Bay City Rollers, Pillbox, Beyond The Barricade, The Ultimate Eagles. Through playing with these artists I have had the pleasure of playing the drums all over the world. As well as performing live, I now teach the drums from home in South Godstone. 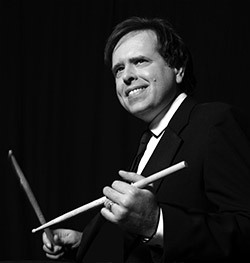 If you are looking for a drum teacher to help with range of aspects from technique to playing live, I have the experience to help you get to where you want. Feel free to get in touch. If a man does not keep pace with his companions, perhaps it is because he hears a different drummer.Let him step to the music which he hears, however measured or far away.